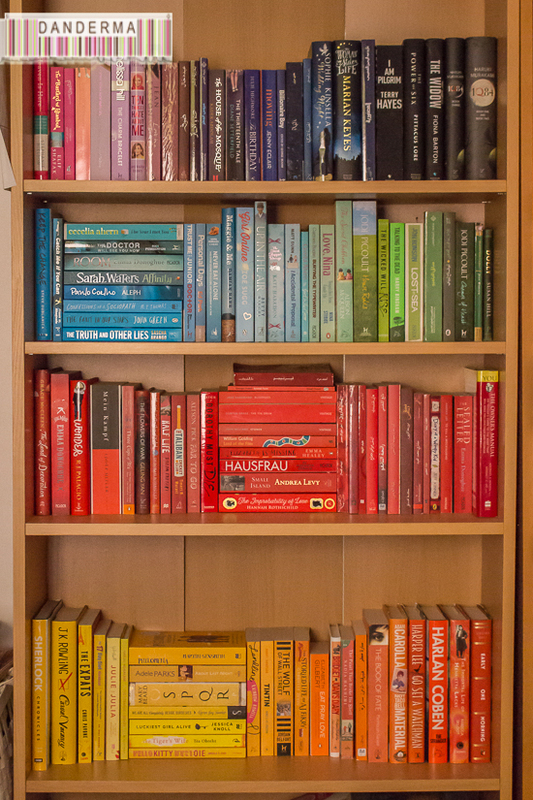 For a while now almost every bookworm social media account I’m following was rearranging their collection of books in a colour-coded book theme so the end result would resemble a rainbow. I have an ancient photo of my bookshelves when I was a kid back in the early 90’s, my collection of some magazines were arranged Rainbow style but I have to look for the picture and scan it before I can share it with you, most likely in this post. Anyway, since my bookshelves are overflowing and organising the books in a readable manner became one messy affair, I thought I’d dedicate myself to this task and arrange all my books rainbow-style. After all, how hard can it be, right? I decided to pick one colour and start with it, since there is a nursery rainbow rhyme that is stuck in my head from I don’t know where “Red and yellow and green and blue, purple and madry shine, I can see (paint?) a rainbow, see a rainbow too” I decided to start with Red.  My second least favourite colour which I thought I’d never be attracted much to. When I gathered up all my books in red covers, I was shocked, I had a LOT! 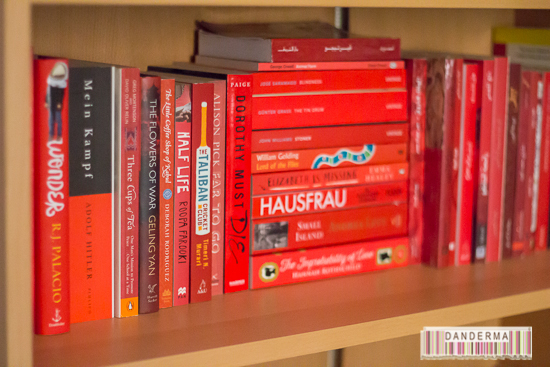 When I finished the red books, which took an entire shelve, I was blown away by the effect. It was so organised, so easy on the eyes, it made total sense! So I’ve decided to consult the rhyme and it said to go with yellow, my absolute least favourite colour in the whole wide world. It was with yellow, which thankfully I didn’t have much with, that I was stuck. For starters, I couldn’t implement the same book classification of Arabic English Read and Unread. Then, because the idea of the colour coding is to have the shades of the colour change gradually, it was hard to match both the size of the book with the shades, some books that would totally fit in where too big and so on. My dilemma was obvious: I needed more books! Green, my most favourite colour, had surprisingly a handful of books only! I was left baffled? Why so many reds, whites, blacks, and even yellow but not much green? Either I wasn’t attracted to books in green even though I love the colour, or perhaps authors and book publishers didn’t prefer green for their book covers. That’s interesting. I was also astonished by the amount of white covered books, especially the Arabic ones which were about 80% of the white books and really took up an entire bookcase on their on. The black ones came next, somehow I was reminded of the dresses in weddings and how if you were black you are almost certain that 75% of the wedding guests would be in black too! After a few days, lots of thinking, and lots of stashing books that do not match in other bookshelves -making an even bigger mess- I let go of my dream of arranging my entire book collection in a rainbow bookcase and simply put together what would visually work together in one test book case. How maintainable is it? Quite frankly I don’t think it is. A new colourful book would need to be squeezed in somehow or an entire collection would need to be started elsewhere. Finding a book? It would take forever especially if you do not remember the book cover colour. What about book collections i.e. Harry Potter for example? Well, unless all books come in the same shade of colour, they’ll be scattered everywhere and good luck finding them. I did keep my collections elsewhere, normal and not colour coded. It is however, quite delightful and fun. It would work well if you have a reading room or books on display but I doubt I’ll keep it forever. 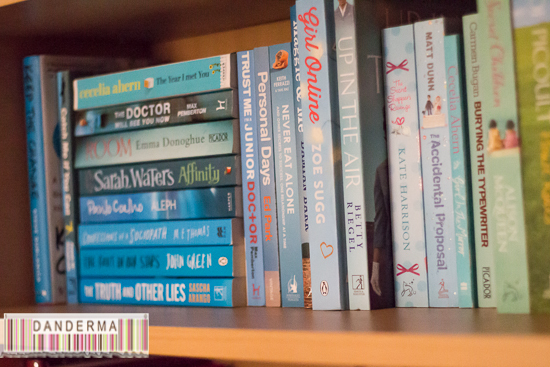 Unless… I buy enough books such that each genre or writer has its own little rainbow :p You never know! 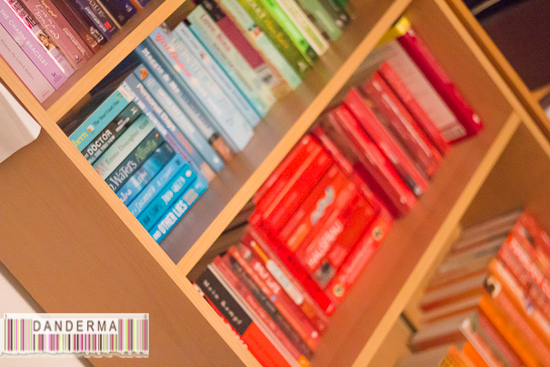 Do you have rainbow bookshelves? 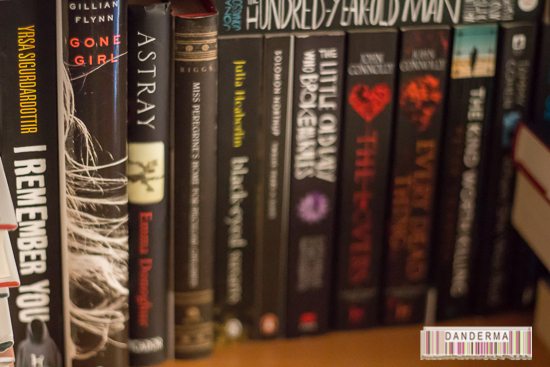 Have you attempted to arrange your books that way? Would you? If you do, how did you organise your collection? Wow, that looks amazing! Sadly my bookshelves are rather unorganized at the moment.